Sam Cooke was a gospel and rhythm and blues musician whose distinctive vocal talents defined soul music. He was born on 22 January 1931, in Clarksdale, Mississippi, the fourth child of Rev. Charles Cooke and Annie May Cooke. According to family legend, Sam was born with musical talent and when he had no audience, he would create one out of the sticks he found in his backyard. About two years after Sam was born, Charles Cooke, a preacher in the Church of Christ (Holiness), moved the family to Chicago, where he became pastor at the Christ Temple Church in Chicago Heights. The eight Cooke children grew up in the church, and several of them formed a gospel quintet, the Singing Children, to perform there. Sam sang tenor harmony, and though he was only six when the group formed, he often sought the lead. The children traveled frequently with their father, priming revival audiences before his sermons, until the older siblings tired of performing and the group disbanded. In the spring of 1947 Cooke became one of two lead singers for what would be his first professional gospel quartet, the Highway QCs. His talent proved so impressive that at the age of nineteen he was offered lead vocals for the Soul Stirrers, one of the country’s most renowned gospel quartets. While performing with the Soul Stirrers, Cooke developed his singular vocal style, a melismatic bending of notes that has been described as a yodel. 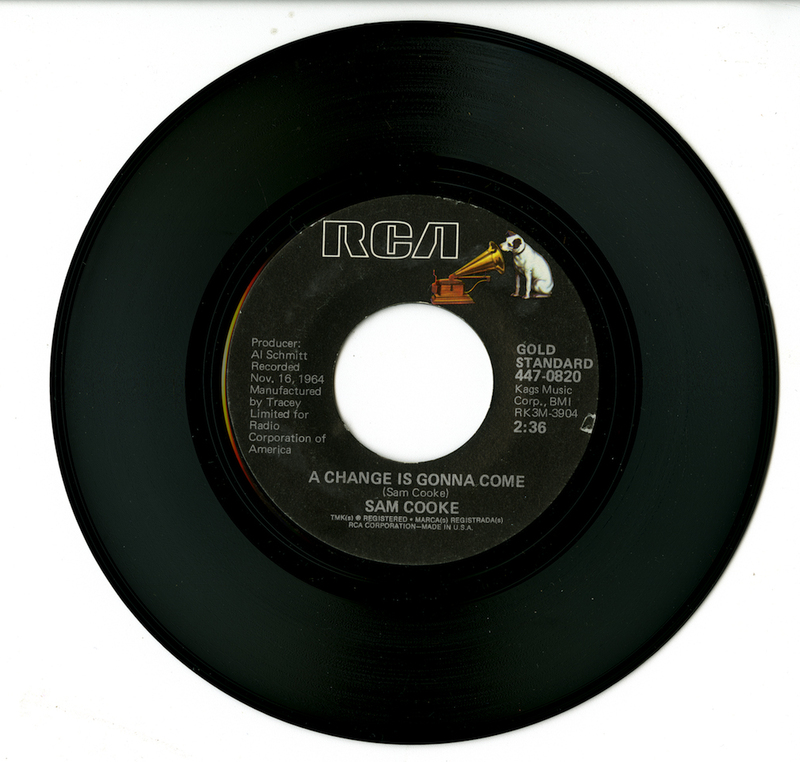 Cooke also wrote songs for the group, and the quartet constantly recorded and toured. While the Soul Stirrers remained popular with the gospel music audience, the musical climate was changing. In December 1956, with his father’s blessing, Cooke crossed the mythical line between Sunday morning and Saturday night. He recorded his first pop songs under the pseudonym Dale Cook, though few listeners were fooled by the name. Cooke left the Soul Stirrers in April 1957. Cooke was known to be a ladies’ man, marrying twice and fathering numerous children out of wedlock. His second wife, Barbara Campbell, was his childhood sweetheart, and after their 1959 marriage, they had three children, the youngest of whom, Vincent, accidentally drowned in June 1963. Less than two years later, on 11 December 1964, Sam Cooke was shot dead in self-defense by the manager of a Los Angeles motel where Cooke had brought a woman during an alleged kidnapping. The circumstances surrounding his death remain a mystery. Cooke’s songs are still popular in movies, as recorded by other musicians, and with new generations of music fans.